Stem cells are the earliest form of a cell and are capable of self-regeneration. They have the potential to become any cell or tissue type. Stem cells have many of the same surface antigens as cancer cells do, and that could make them an ideal candidate for immune-boosting cancer therapies. Stanford researchers believe their use in battling and defeating disease processes is still just touching the tip of the iceberg. This article represents yet another breakthrough at Stanford University with a real potential life saving cancer therapy using stem cells. COMMENT: If the researchers at Stanford can identify the profound impact stem cells can have on cancer treatment by stimulating an immune response to fight cancer, why can't we use stem cells harvested from our own bodies In the most efficacious manner? The United States arguably provides the most advanced healthcare in the world, or likes to believe that anyhow. These researchers at Stanford support the idea we can do it when we try. Stem cells are clearly capable of self-regeneration. They have the potential to become any cell or tissue type. They can be can transformed into a variety of tissue types, including nerve cells, muscle cells, blood, and bone. And, they can be extracted from our own bodies. When your adult stem cells are harvested and re-injected, this is known as an “autologous” stem cell transplant. But, to achieve the most effective“autologous” stem cell transplant therapy, you still have to travel to another country. Why is that? It has nothing to do with President Bush’s restrictions and all the debate on the funding of embryonic stem cell research. On August 9, 2001, President George W. Bush signed an executive order restricting federally funded stem cell research on embryonic stem cells to the already derived and existing very limited cell lines. On July 18, 2006, the U.S. Senate passed the Stem Cell Research Enhancement Act, H.R. 810. On July 19, 2006, President Bush vetoed House Resolution 810, Stem Cell Research Enhancement Act, a bill that would have reversed the Dickey Amendment, which made it illegal for federal money to be used for research where stem cells are derived from the destruction of an embryo. On January 23, 2009, the FDA finally approved clinical trials for human embryonic stem cell therapy. On March 9, 2009, President Barack Obama signed an executive order reversing federal opposition to embryonic stem cell research. Embryonic stem cell research has over the years raised a number of issues – personal, ethical, moral, political, and legal - though embryonic stem cells have been shown to achieve incredible, mind-blowing outcomes. 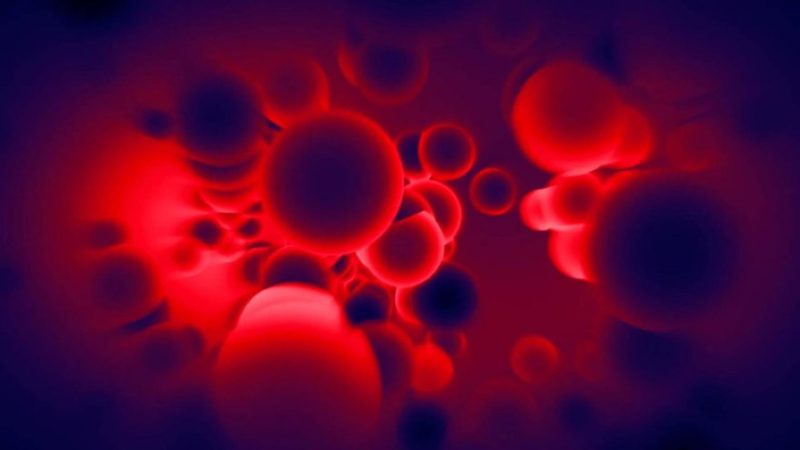 One alternative to the ethical dilemma with embryonic stem cells are Placental Matrix-Derived Mesenchymal Stem Cells (MSCs),which can similarly transform into a variety of tissue types, including nerve and muscle cells, as well as blood and bone cells. MSCs are derived from placental tissue called the chorion. Cells of the chorion are derived from the fetal mesoderm, which is responsible in forming our musculoskeletal and connective tissue, bone, ligament, tendon, and muscle. MSCs are harvested from the placentas of normal deliveries with the voluntary consent of the mother having been properly screened. MSCs do not have the limitations of an individual’s own stem cells nor the ethical issues of embryonic stem cells. The body’s immune system is unable to recognize placenta derived MSCs as foreign, therefore, they are immune privileged and are not rejected, and are easily accessible. Stem cell outcomes are such that it will not be uncommon for parents to harvest and “bank” the stem cells of their newborns, particularly, placenta-derived MSCs, to be used as necessary in the future. But, there may still be a fear of concern over screening that would not occur as frequently with our own personal cells being harvested. Because stem cells are removed from your body and processed in an effort to stimulate growth, the FDA considers it a drug. But, the stem cells come from your body, so does that make any sense? And, how does the FDA regulate what you can extract and harvest from your own body and re-inject, particularly, since the research shows “autologous” stem cell transplant works in a variety of disease processes and conditions. This is you taking your own cells to treat a degenerative disease, injury, muscular disease, or similar process without the need for long-term expensive pharmacologic medications, many of which are addictive, and without the need for surgery. As we age, we all experience a decrease in regenerative stem cells, but most people still have plenty available to do the job – and they are ours. In the United States, stem cells can be harvested, for example, from the bone marrow and injected straight back into the patient without FDA regulation. But, the cells cannot be incubated, manipulated, processed, or provided any outside source to assist them in growing and strengthening. This can be minimally effective, but not anywhere near as effective as when you are allowed to harvest, incubate as long as necessary, process, and then re-inject your own cells. Research and results have demonstrated far more significant outcomes when your cells can be harvested, incubated, and processed before being re-injected, Having your cells extracted and then immediately re-injected will do very little for musculoskeletal and connective tissue, bone, ligament, tendon, and muscle degenerative issues that many would like help for. Thus, Americans are going to continue to travel offshore to get the most efficacious treatment using their own stem cells. Just as significantly, there has been a proliferation of stem cell clinics, making all types of unsubstantiated claims, while also claiming to fit within the parameters of the current state of the law in the United States. Patients may believe they can avoid “stem cell tourism” by driving only a few minutes from metropolitan areas across the U.S., but the efficacy of treatment in most instances remains questionable. Research is continuing to demonstrate in many arenas the efficacy of stem cell therapy, including this recent research at Stanford University that holds hope for cancer treatment. But, people are dying and suffering while whatever is done waits on the FDA and its bureaucratic, political, expensive, and lengthy process. Hopefully, the FDA will one day catch-up, but I’m not holding my breath.